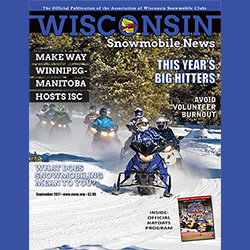 September 2017 - Midwest Sports Publishing Network, Inc.
Get ready for winter at the Great Southern Grass Drags, this Saturday in Douglas, Minn. Hosted by the Byron Snow Bears, there’s a swap meet, vintage sled show and of course, the grass drag nationals. It’s one day you definitely don’t want to miss. 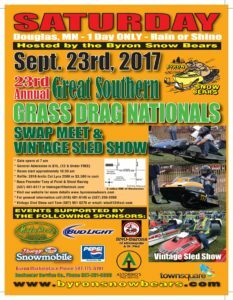 Wausau Grass Drags – This Weekend! This weekends marks the 28th Annual Wausau Grass Drags & Swapmeet. 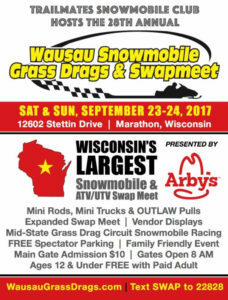 The largest event of its kind in Wisconsin, it features a huge swap meet and expo area, grass drags, pulls and so much other excitement. We’ll see you there.